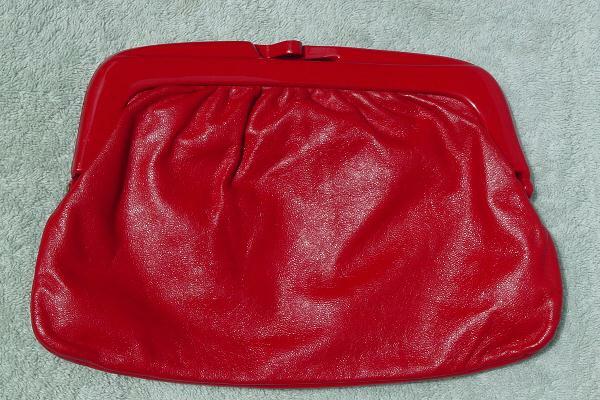 This vintage red leather clutch was made in Italy and sold at The Broadway department stores. It has a black vinyl lining. The rim and closure are in a thick red plastic (lucite).